Highway Patrol police have issued two men with heavy fines after they were caught with radar detectors in their vehicles. The devices were found when officers stopped a Singleton man on the Putty Road and a man from Manilla, near Tamworth, on the New England Highway at Muswellbrook. The Singleton man is alleged to have told police he purchased the radar detector on the internet from the United States. Northern Region Traffic Coordinator, Acting Senior Sergeant, Glenn Trubody says the offence carries hefty penalties. “Just not use, it’s even to carry a speed evasion article or a radar detector as most people know them,” he said. “Particularly country police do have the devices fitted to their vehicles that are capable of detecting these radar detectors. POLICE Commissioner Karl O’Callaghan’s son was one of five people who suffered serious burns in an alleged drug lab explosion in Carlisle yesterday. Mr O’Callaghan said his son Russell, 29, received head, shoulder and arm injuries in the explosion. He said he had not yet visited his son in Royal Perth Hospital. He said he would be working as normal and would not be taking time off over the incident. Mr O’Callaghan said he had attempted to contact his son yesterday. “I am not at this stage able to speak to him (Russell),” Mr O’Callaghan told a packed media conference this morning. “These matters are obviously very distressing for the families involved but I have a duty to come here and talk about this issue publically this morning. “At this stage there is an inquiry being conducted into the matter and that inquiry is being overseen by a senior police officer to avoid any suggestion that the inquiry will not be attended to properly. “I have not asked for the details of the inquiry…and I will remain at some distance from the (inquiry) process.” Mr O’Callaghan said he had only “occasional” contact with his son. “His life has taken a bit of a tragic path unfortunately…I understand from speaking to other family members last night that he has recently been suffering from a depressive illness and he was due to seek assistance from a doctor this week for that illness,” he said. Mr O’Callaghan said he does not know why his son was at the house at the time of the explosion as he does not live at the property. Police said the explosion happened just after 5pm in Bishopsgate Street. It was allegedly caused by an illegal drug lab. Police Inspector Trevor Davis said five adults were taken to hospital with serious burns. “One man is in a critical condition, while one woman and three other men are in stable conditions,” he said. “Although initial reports indicated that children were injured, this was not the case. A three-year-old and a four-year-old were near the explosion but were not hurt.” Police said this morning that a 26-year-old man injured in the explosion was in a critical condition. A 26-year-old woman, a 29-year-old man and two 28-year-old men were all in a stable condition in hospital. A FESA spokesman said the explosion caused about $300,000 damage to the home. According to an independent review, DOUBLE-DEMERIT penalties in Western Australia have NOT cut road deaths. In fact the figures show fatal car crashes have jumped almost 50 per cent on holidays and long weekends since double-demerit points came into force in 2002. The revelations have sparked calls from the RAC for fines – not just demerit points – to be doubled to send motorists a “sharp message”. That would mean the fine for not wearing a seat belt would jump from $500 to $1000 and the penalty for exceeding the speed limit by 15km/h would rise from $150 to $300 during double-demerit periods. A report by independent researcher Synovate showed the average number of fatal crashes during double-demerit times was 0.71 a day in 2008 compared with 0.48 a day in 2002 – an increase of 48 per cent. The report also showed the average number of crashes causing injury during double-demerit periods had increased by nearly two a day between 2004 and 2008, rising from 15.31 to 17.02. 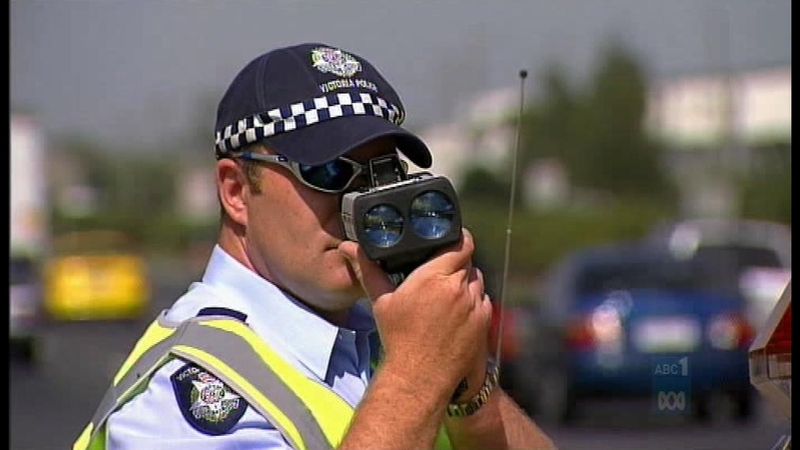 WA has about 40 double-demerit days each year, including the Easter and Christmas breaks. RAC spokesman Matt Brown said stiffer penalties should be considered to reinforce the impact of double demerits. “We think the Government should look at whether financial penalties should be doubled on holiday periods as well, to send an even sharper message to people,” he said. Mr Brown said more cars on the road at holiday time had contributed to the increasing toll, but he called for a review of the demerits policy to ensure the scheme was having an impact. “The double-demerits system has a good awareness level and strong support in the community, but that doesn’t mean the system we introduced all those years ago doesn’t need to evolve,” he said. Mr Brown also wants double demerits for drivers using mobile phones without a hands-free set. Currently only speeding, drink-driving and seatbelt offences attract double demerits. Opposition road safety spokeswoman Margaret Quirk agreed stiffer fines and penalties should be considered, but Police Minister Rob Johnson said existing double-demerits legislation was reducing the total number of crashes on WA roads. He said the Government had no plans to double fines. Office of Road Safety executive director Iain Cameron said the increase in holiday fatalities between 2001and 2008 was significantly lower than fatal crashes in non-holiday periods.